If you like to maintain your own garden, or would like a second opinion on some problems that are beyond your, or your current gardeners experience, why not have our chief garden expert to come along and have a look at your garden with a view to producing a diagnostics report. This report will give you a full breakdown of any problem areas plus a step-by-step guide to solving those problems. 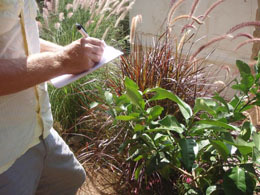 The report will list sprays, fertilizers, organic products and pruning and trimming advice to help you get your garden looking its best. 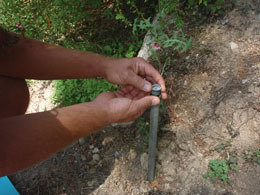 We have two reports available, one for the garden and another for your irrigation system. Prices start from 90.00 Euros depending on the size and location of your garden.